Students can identify heat effects on problems in everyday life. Students can classify heat transfer types in daily life. Students can mention factors that influence the magnitude of the expansion of solids, liquids, and gaseous substances. Students can distinguish the magnitude of expansion (length, area, and volume) in various substances quantitatively. Students can describe with their own language the effect of heat on the temperature and form of objects. Students can distinguish heat transfer by conduction, convection, and radiation. 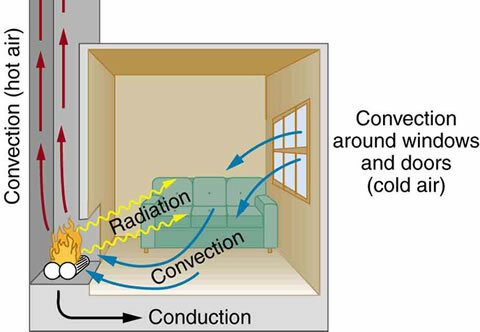 Students can give two examples of heat transfer by conduction, convection and radiation in everyday life. Students can measure physical quantities using the right equipment and techniques for scientific inquiry. Students can calibrate a thermometer with any scale. Students can use physical measuring instruments with the right techniques. Students can use physical measuring instruments according to their designation. Conduction is heat transfer through stationary matter by physical contact. (The matter is stationary on a macroscopic scale. we know there is thermal motion of the atoms and molecules at any temperature above absolute zero.) 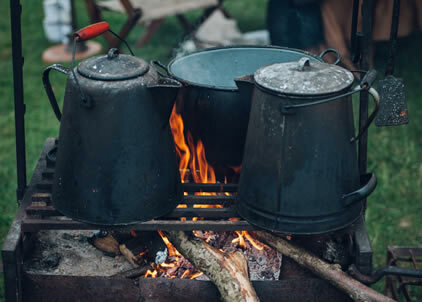 Heat transferred between the electric burner of a stove and the bottom of a pan is transferred by conduction. 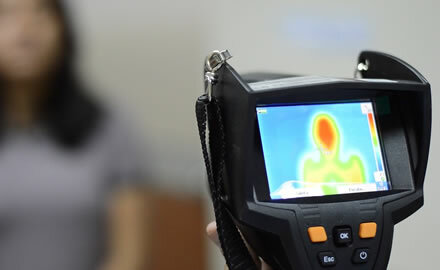 Heat transfer by radiation occurs when microwaves, infrared radiation, visible light, or another form of electromagnetic radiation is emitted or absorbed. An obvious example is the sun warming the earth.